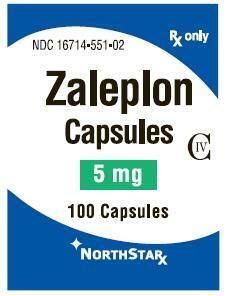 Zaleplon, a prescription drug used to treat insomnia, is a non-benzodiazepine. A popular brand name version of zaleplon is Sonata. Zaleplon as a prescription sleep aid has been used effectively to treat chronic insomnia with a few prescription benefits over its competitors. Like other hypnotics zaleplon is used effectively to treat a variety of neuro disorders and does an excellent job invoking sedation and muscle relaxation. But the drug is very useful in treating some types of insomnia. Zaleplon is most well-suited to those individuals whose insomnia is restricted to sleep onset – they have a hard time falling asleep at the beginning of the night. When this happens their sleep latency is extended, that measurable period of time between wakefulness and sleep. Zaleplon’s very quick to act and very quick to leave your system, making it effective for sleep onset, but a poor choice especially for late insomnia sufferers. minor sedative does what it needs to and no more. One of the bigger benefits of zaleplon use as a sleep aid is, unlike most fast-acting prescriptions limited to a maximum two weeks, it can safely be used for longer periods of time with fewer risks. Zaleplon is unique among non-benzodiazepines namely for its relative safety when it comes to next day drowsiness and ability to operate without mobility compromise. The drug works similarly to other non-benzodiazepines: it is a GABA-receptor agonist, stimulating extra amounts of sleep-inducing chemicals in your brain. What does this mean for you? When you take zaleplon just before you go to bed you get a quick onset of drowsiness that you may not have felt in ages. Ideally this is all you need to push you back on the right and natural sleep-wake cycle from which your body has been starved. Make sure you tell your doctor if you’re taking any other prescription drugs and have ever suffered any allergies to medication. Follow carefully all dosage instructions and report any adverse side effects to your doctor immediately.